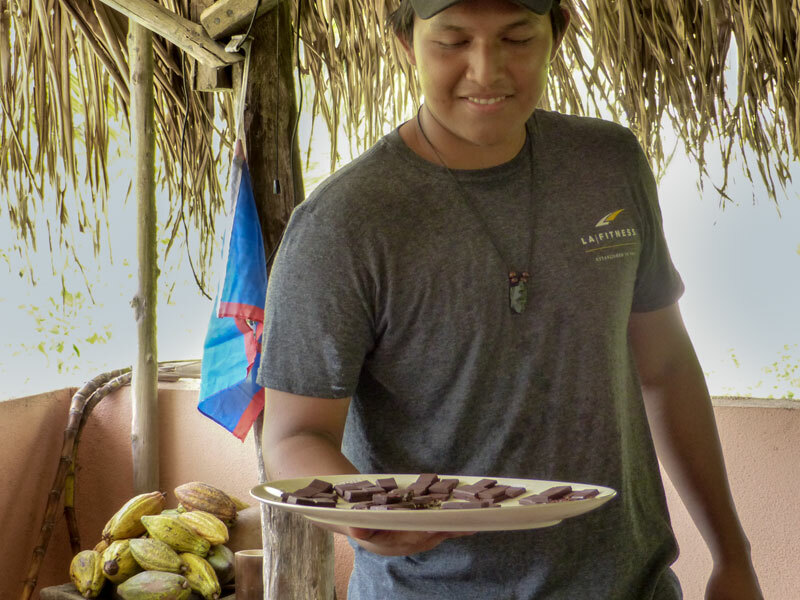 Satisfy your sweet tooth while experiencing wonderful elements of Maya culture as you visit traditional chocolate workshops and astonishing ruins during your Central America travels. Chocolate’s palate-pleasing history reaches back over 2,000 years, serving as “food of the gods” for ancient Maya, who consumed it mainly in drink forms, and used it seeds in various rituals. They recorded their adoration in carvings, pottery, and statues of gods holding cacao pods. Today we know it as a sweet, delicious treat that doubles as a superfood, high in antioxidants and essential minerals like copper, manganese, and iron. While travelling in Guatemala and Belize, you can trace its origins, roll up your sleeves, and make your own tasty treats as part of your immersion into the Maya of past and present. While visiting colonial Antigua Guatemala, you’re only steps away from chocolate factories and about an hour’s drive from small but important Maya ruins. 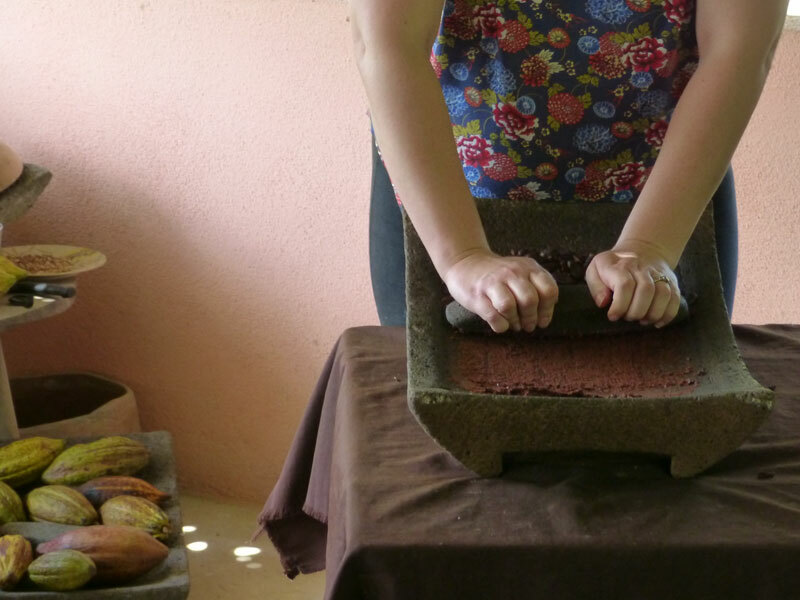 At the ChocoMuseo in the heart of Antigua, you can learn about chocolate through exhibits, demonstrations, and hands-on experiences like chocolate-making classes and truffle workshops. From the ChocoMuseo, you can also tour nearby plantations where cacao trees grow, producing the large, oval pods containing the beans used to make chocolate. 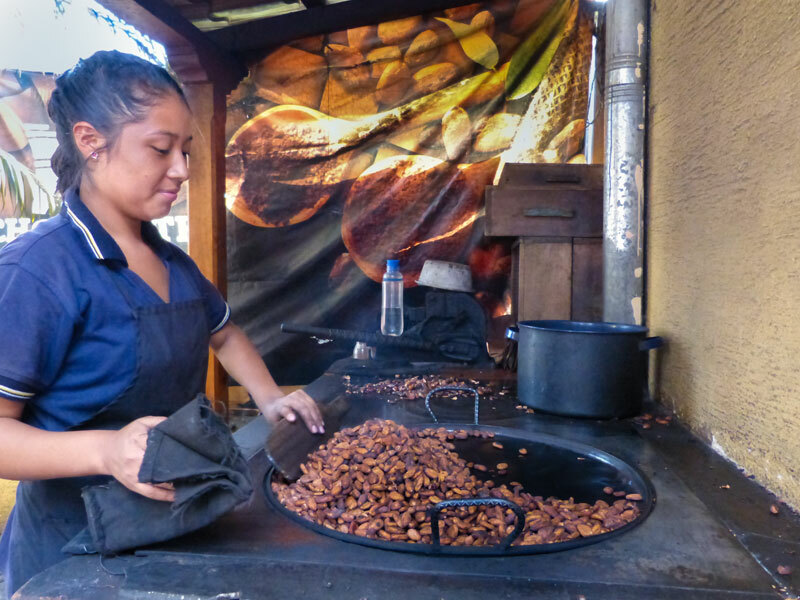 Find a more rustic experience just outside Antigua in San Juan del Obispo, where an indigenous family founded a chocolate workshop and artisanal business to preserve their ancestors’ tradition. Work with your hostess as she sorts beans and roasts them on a clay comal (grinding stone) heated by a wood fire. Next remove the husks and the beans that you’ll crush and mix with sugar and other ingredients as you make chocolate in the Maya tradition. 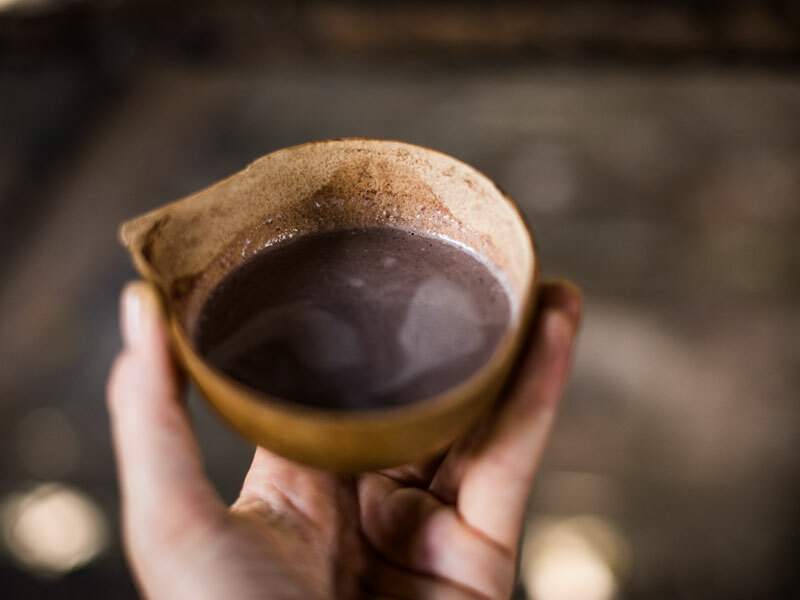 Imagine ancient rulers using cacao seeds in ceremonies like marriages, royal occasions, and even human sacrifices as you explore the Maya ruins of Iximché, about halfway between Antigua and stunning Lake Atitlán. The former capital of the Kaqchiquel Mayas, Iximché features partially excavated temples, ceremonial plazas, and ball courts. To this day, Maya shamans conduct sacred rituals at the site. After touring Iximché, continue on to volcano-ringed Lake Atitlán, which spans 130 square kilometres (50 square miles) of shimmering beauty. 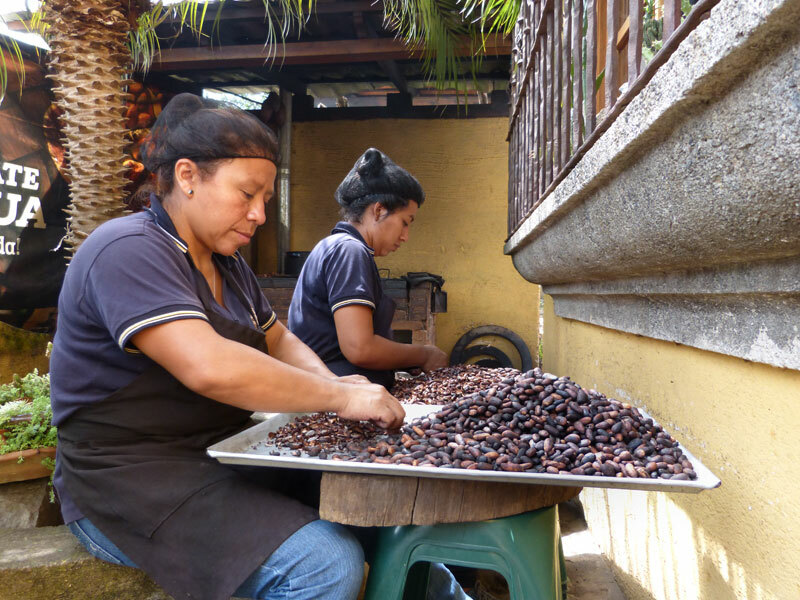 Among indigenous villages overlooking the lake, the town of San Juan La Laguna is home to the Lake Atitlán Chocolate Factory. You and your entire family can learn the bean-to-bar journey of chocolate using heirloom stones in the traditional drying and grinding process. 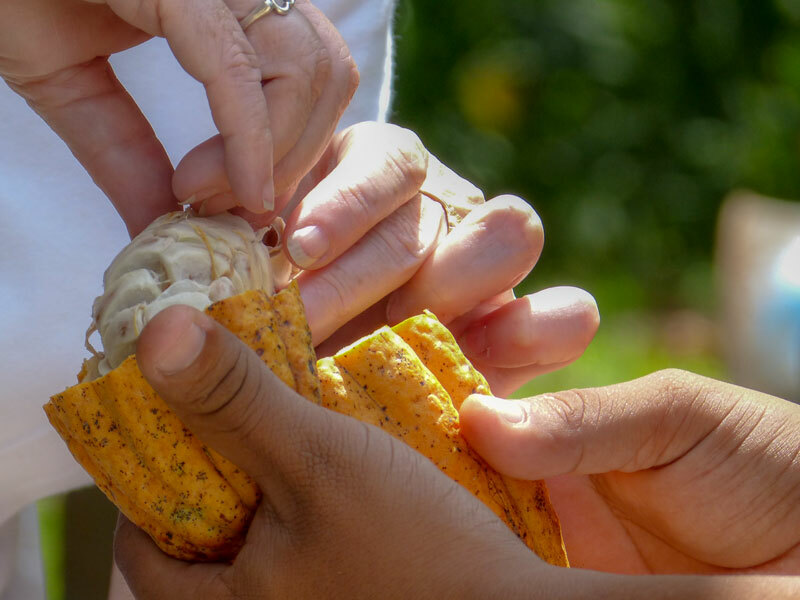 Led by local Tz’utujil Maya artisans, workshops delve into the art, culture, symbolism, tradition, and history in fun sessions ending with delicious treats. Explore some of the earliest Maya settlements in Southern Belize while getting a first-hand look at modern-day indigenous life with experiences ranging from chocolate-making to weaving your own hammock or fabrics. Head to indigenous towns like San Pedro Columbia or San Antonio to learn about present-day Maya traditions, music, and textiles. Discover the Maya past in Lubaantun, the largest ancient Maya ceremonial center in Southern Belize, and Nim Li Punit, where you’ll find the tallest stelae (carved monument) in Belize. A delicious natural gift to the region, chocolate thrives in the Toledo District, where farmers grow cacao beans for small- and large-scale chocolate production, even supplying UK-based Green & Black’s, known for its “Maya Gold” premium chocolate bars. 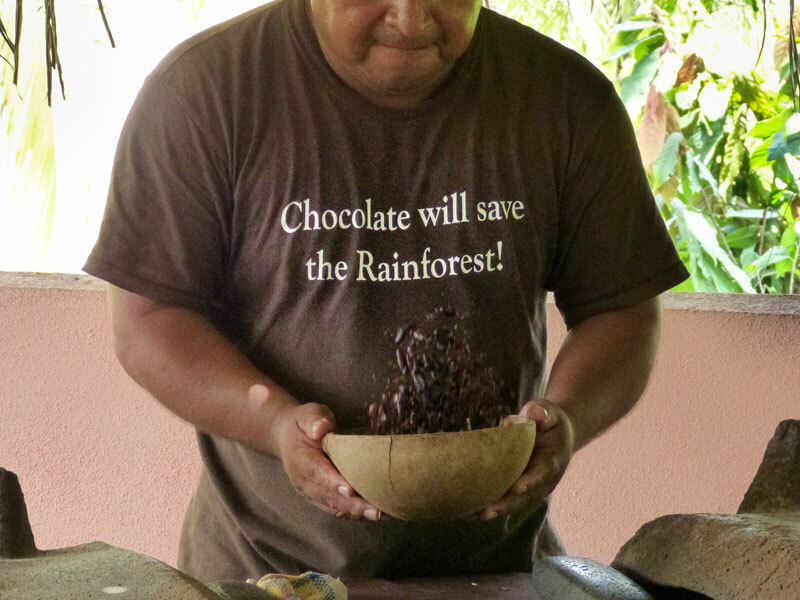 To satisfy your chocolate cravings, tour a cacao farm, learn how to make chocolate from scratch, or plan a trip during the three-day Chocolate Festival of Belize in late May. The town of Punta Gorda, capital of the district, hosts the lively street fair, which features a mind-boggling array of chocolate desserts and treats — even chocolate beer, chocolate barbecue, and chocolate soap.